Welcome to the Top of Wisconsin where you’ll find some of the best silent sports trails in the Midwest. We’re hiking, biking, kayaking, skiing, tubing and snowshoeing our way through towns like Cable, Hayward, Bayfield and Seeley. From a 5-year-old BMX rider to an Olympic cross-country skier, we’re uncovering what makes Bayfield and Sawyer counties a silent sports mecca for all types of outdoor enthusiasts. 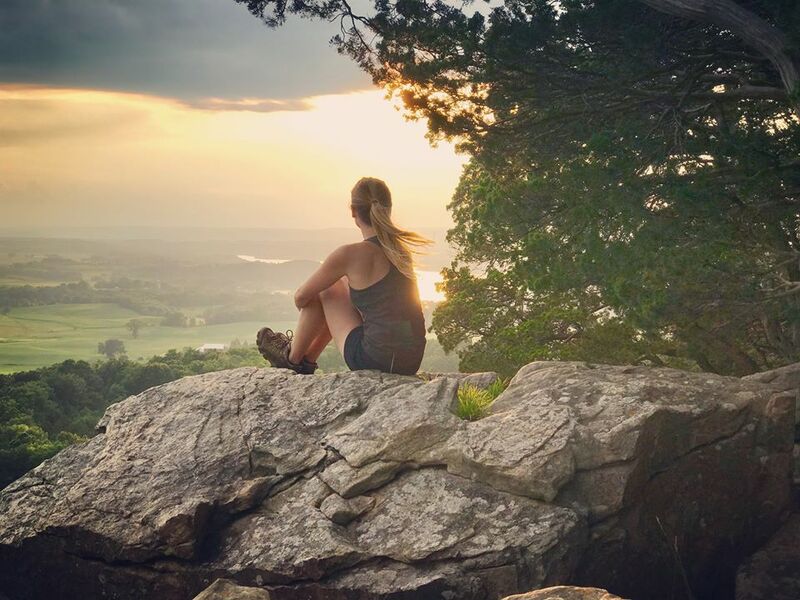 Hosts Mariah Haberman and Collin Geraghty hike their way to off-the-grid spots like Juniper Rock Overlook and Lost Creek Falls. Our journey in northwest Wisconsin comes to a close at the “super bowl of silent sports” – The American Birkebeiner and Kortelopet ski race. Gear up: we’re hitting the trails! Juniper Rock Overlook is located along the North Country Scenic Trail in Grand View, Wis. The Hospital Trail System in Hayward is a great spot for silent sports enthusiasts of all ages. The trails at Mt. Ashwabay offer a variety of experiences for every kind of rider! Videographers Teddy Maier and James Donovan and host Mariah Haberman film at the start of the American Birkebeiner in Cable. Gravel riders are filmed along the Birkie Trail in Sawyer County. Host Mariah Haberman waves hello atop the ski hill at Mt. Ashwabay. A snowboarder takes a ride down Mt. Ashwabay. Winter sports are a big deal at the top of Wisconsin! Discover Wisconsin cinematographer James Donovan films on a gorgeous day in Bayfield County. 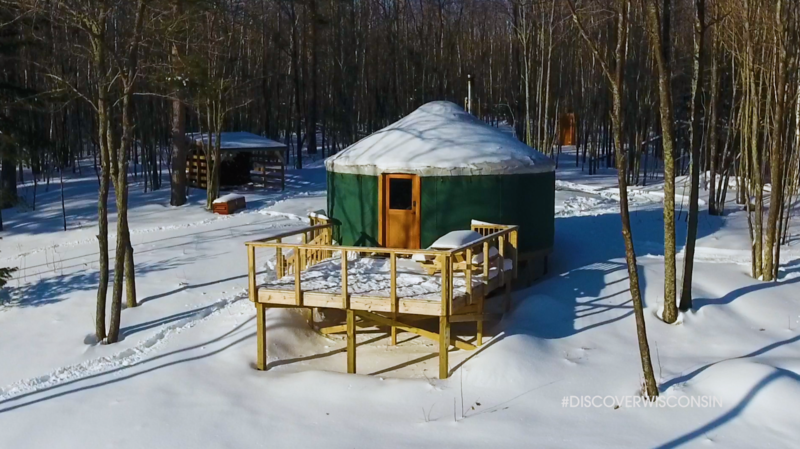 Rock Lake Trail is featured in an upcoming episode of Discover Wisconsin. 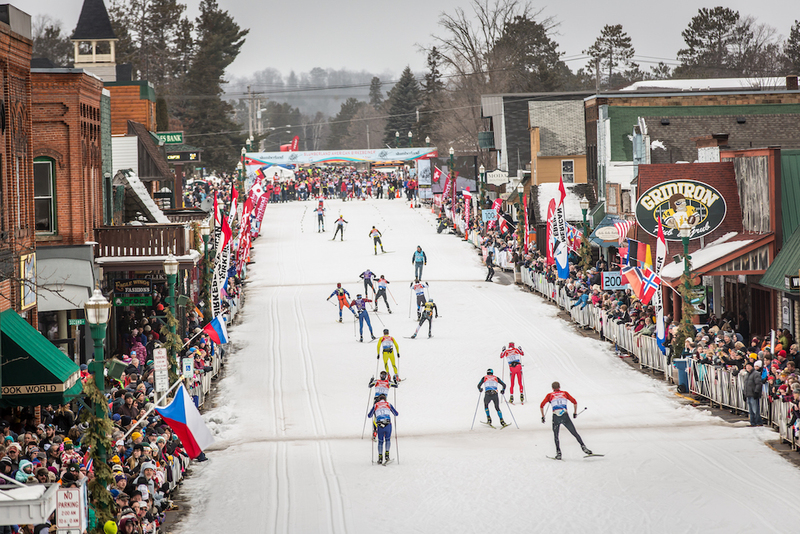 The Birkie and Korte are two of the largest cross-country ski races in North America. The Discover Wisconsin crew at Juniper Rock Overlook. The Hayward Lakes area is a popular Northwoods vacation destination packed with activities for all ages. Every year, the Hayward/Cable area hosts two of the world’s premiere racing events, the American Birkebeiner cross-country ski races and the Chequamegon Fat Tire bicycle races. Home of the Freshwater Fishing Hall of Fame and world record muskies, anglers can fish over 50,000 acres of glacial lakes and rivers in the area. The Flambeau River is also a popular destination for outdoor enthusiasts with fantastic scenery and paddling opportunities for all skill levels. No matter what draws you to the Hayward Lakes area, you’re sure to find adventure in this corner of the Northwoods. Home to the Apostle Islands National Lakeshore, the rugged sandstone cliffs frame Lake Superior’s glacial waters in Bayfield County. Visitors can head out on the great lake for some cave kayaking, boating, sailing, or fishing. Plus, there’s also tons of ground to cover in the second largest county in Wisconsin, all the way from the forest lakes and trails, to the orchards and berry farms of the rolling hills. 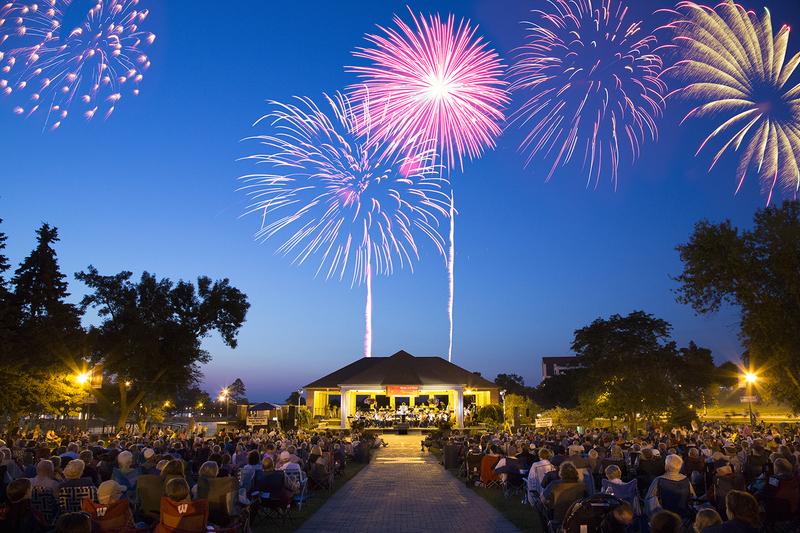 And several communities throughout the county offer shopping, fine dining, theater experiences, galleries, music and world-class events. One of the popular cycling routes is the “Around the Horn” tour – it starts in Washburn, heads northeast to Bayfield and then continues up and around the peninsula to Cornucopia. From there, you can continue on through Herbster and Port Wing heading towards Superior/Duluth or head back down to Washburn through the Chequamegon-Nicolet National Forest. The walking path that you see featured in this episode is in Washburn and it stretches for 2.6 miles from one end of town to the other along the lakeshore. There are 38 different hiking trails in Bayfield County, so there are plenty of places to stretch your legs. It all began in 1973, when 35 determined skiers gathered on the starting line for the American Birkebeiner. Little did they know…they were about to change everything. Today, the Birkie provides year-round, healthy, active lifestyle events for thousands of adventurous spirits of all ages and abilities. It looks like this destination hasn't been featured in The Bobber yet. Have a good idea about something we should feature on the Bobber? Just let us know! What would you like to see on the Bobber? For the over 30 years, skiers, snowshoe enthusiasts, walkers, runners have enjoyed the Hospital Trails, which many consider a gem amongst the area trails. Located close to town behind the Hayward Area Memorial Hospital, there are 7.5 miles of trails which are a mix of flat and easy rolling terrain, winding around a lake and through pines and hardwoods. These trails are used for hiking, running and walking. In the winter people enjoy skiing on the classic only (no skating) ski trail maintained by HASTA (Hayward Area Ski Trails Association). This is the only “classic only” ski trail in the Hayward area. The Hospital Trails have been especially important to senior and beginner skiers. Click here for a Trail Map (PDF).